Celebrated lyricist Manoj Muntashir speaks on love, Valentines's Day and more. 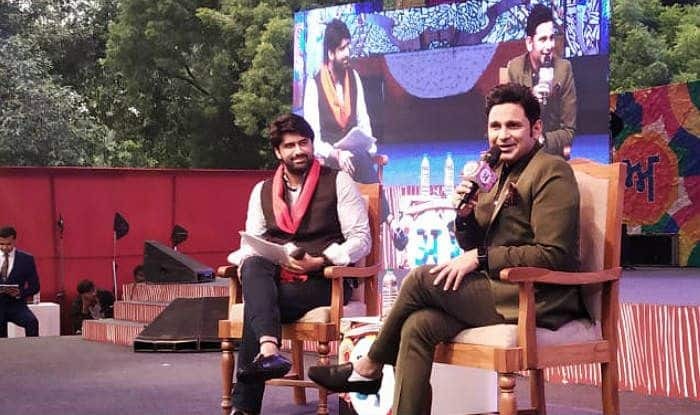 Young Bollywood lyricist Manoj Muntashir while speaking at a session during ARTH – A Culture Fest at the Indira Gandhi National Centre of Arts in Delhi, asked people to celebrate the Valentine’s Day in the best possible spirit. 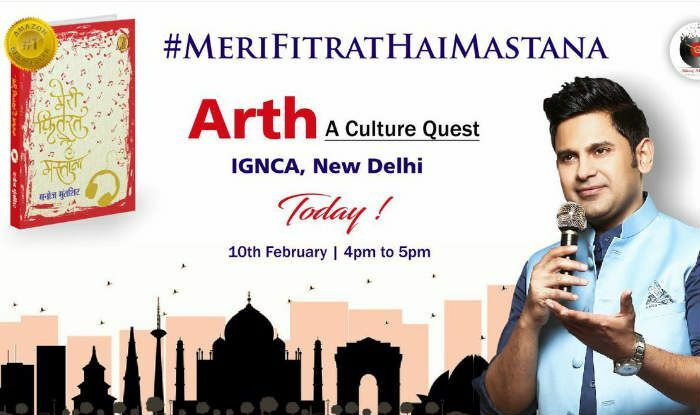 Manoj, who claimed to have written a bestseller Meri Fitrat Hai Mastana, made a strong appeal to young people to celebrate the festival of love with their mothers. Presenting his views on Valentine’s Day, the Bollywood lyricist said, “Love has no boundaries and even your mother can be your valentine for she always gives unconditional love.” However, he also said it is not wrong to celebrate it with the person you love. On a poetic note, he said if you compare anyone’s love for you, your mother’s love will always be nine months more. In a freewheeling conversation, Manoj mesmerized the audience with some beautiful couplets from his book and lyrics of some of the famous songs he had written for films in the past. Manoj Muntashir is a modern day poet who was born as Manoj Shukla in Uttar Pradesh’s Rae Bareli district. He has penned lyrics for popular Bollywood numbers like ‘Galliyan‘ from Ek Villain (2014), ‘Tere Sang Yara‘ from Rustom (2016) and ‘Kaun Tujhe’ from MS Dhoni: The Untold Story (2016) among others. He also wrote the Hindi dialogues for Baahubali: The Conclusion (2017) and worked as a scriptwriter for a famous reality TV show, Kaun Banega Crorepati, hosted by Amitabh Bachchan. Manoj has also written the Hindi dialogues for Hollywood film Black Panther. In his career span of over 12 years, he has won some coveted awards including two IIFA for best lyrics. ARTH is a culture fest promoted by Zee Group. It aims to understand the meaning of Indic civilisation by bringing together the views of various thinkers, literary experts, scholars, authors, and artists. Earlier, talking about the initiative, the founder of ARTH said, “At ZEE, we have always endeavoured to build new and exciting platforms for the society to connect with the rich diversity of cultures in our country. The core concept of Arth is to bring alive the best of everything that India has to offer across various fields in a manner that is collectively interesting, informative and also enriching”.